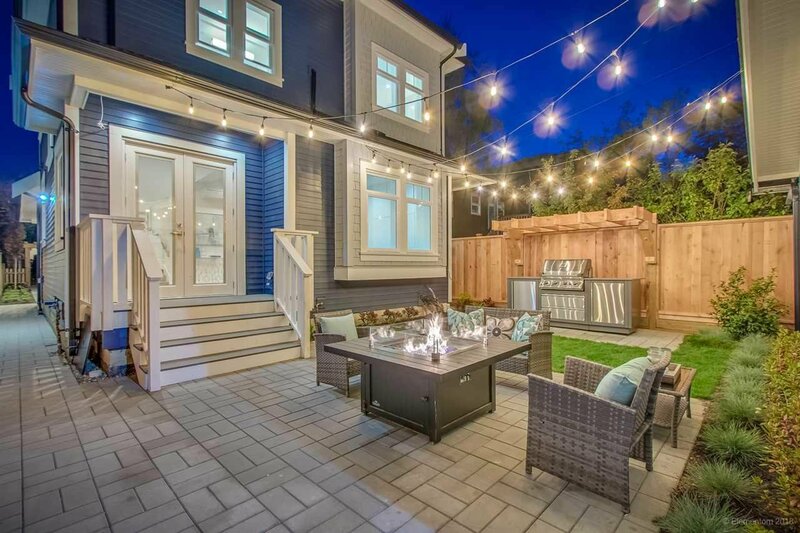 Nestled in the sought after Cedar Cottage neighbourhood! This custom home has been hand crafted ready to host family & friends. Just past the foyer the first floor has a well thought out open concept with ample room for a family, living and dining area. The sleek chef inspired kitchen boasts S/S appliances, undermount sink and centre island for extra storage. Above, the MASTER bdrm is the highlight with bay window seating, LARGE walk in closet + built in organizers, spa like ensuite with walk in glass shower + His&Hers sinks. Another generously sized bdrm with private ensuite & double stacked laundry complete the middle floor. Retreat up to the third and final bedroom with BONUS private balcony perfect for family, office, or a play space. Close to restaurants, shopping and much more!